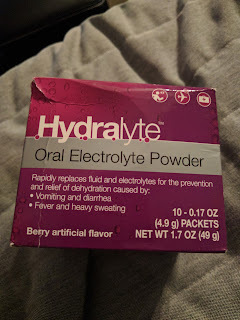 Previously I have written about Hydralyte - I use the tablet form and it's great and travel-size and keeps me hydrated! My friend who told me about this amazing product found out that it comes in powder form and asked me to try it out. Here's my review. So just like the tablet form, it comes in berry or orange (possibly other flavors, but these are the ones I've tried). Either flavor tastes good, but I personally prefer the orange. The packets are nice because they are single-serving (not a sleeve like the tablets) and store flat, which means you can stash one in your pocket when you go out in the sun or they can be tucked into your cooler without taking up much (barely any) space. 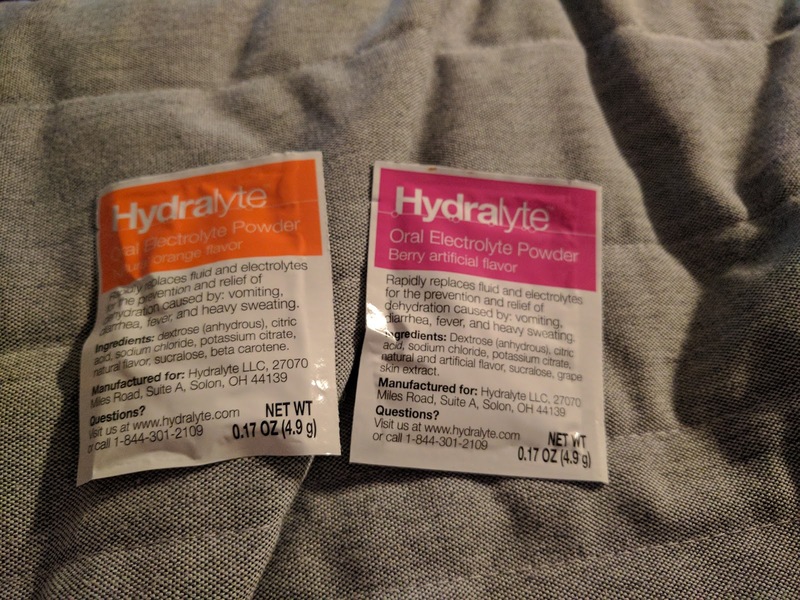 Also a nice feature of the packets is that you can use them in a store-bought bottle of water (the neck of those just keep getting smaller and the tablets don't fit into most). In summary, I really like them and they're possibly even better than the tablet form!